The most important thing for a business traveler is personalization and efficiency. Being on a set schedule, there is limited time for anything but business. With only a few hours in the morning or in between meetings, a City Running Tours personalized running tour is a perfect option to continue your daily routine and avoid the monotony of the hotel treadmill or getting lost on your own. We will customize a run for you based on your desired distance or time frame, provide you with a personal running companion that meets you at the location you are staying and make sure you get your miles in, at your pace, and back in time for your next event. City Running Tours' sightrunning tours allow you to stick to your schedule and make you feel like yourself throughout the day. 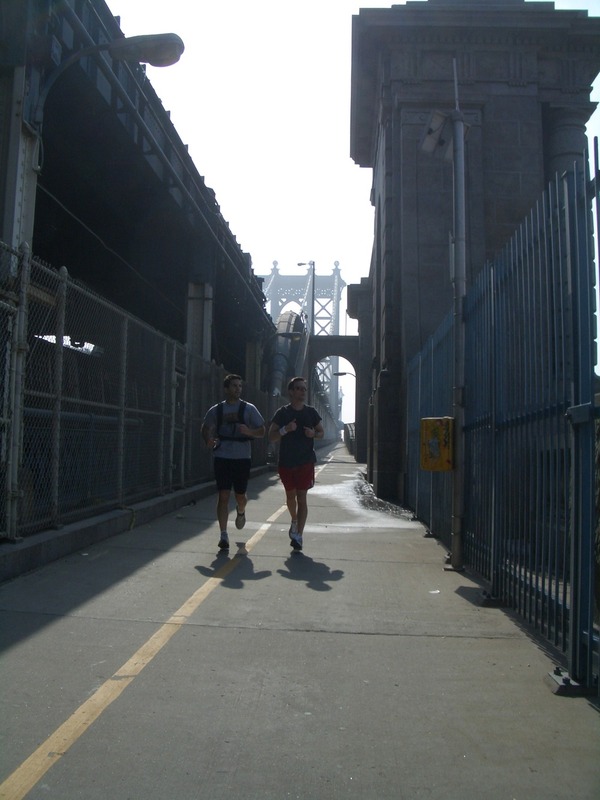 City Running Tours New York City leads a business traveler on a PERSONALIZED RUN across the Manhattan Bridge with views of the Brooklyn Bridge and lower Manhattan.